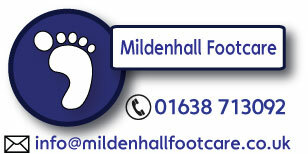 Professional Chiropody Footcare services for Mildenhall, Lakenheath, Brandon & Thetford. Friendly, informal, yet professional treatment for my feet. I wouldn’t go anywhere else!